WELL IT LOOKS LIKE THE QUEENSLAND PREMIER HAS BEEN OUT TOO LONG IN THE HOT SUN . HE IS BRINGING IN A NEW LAW ALLOWING YOU TO HAVE 1/2 KILO OF CANNABIS AND NOT BE ARRESTED IF YOU ADMIT YOUR GUILT AND AGREE TO UNDERGO COUNSELLING . WHAT A FIELD DAY THE DEALERS UP THERE WILL NOW HAVE . NONE OF THEM WOULD BE STUPID ENOUGH NOW TO CARRY MORE THAN A HALF KILO AROUND . THEY WILL GET OFF TIME AND TIME AGAIN . 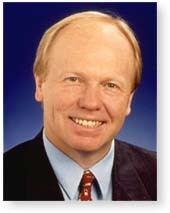 PETER BEATTIE MIGHT AS WELL HAVE MADE IT LEGAL . THIS IS A BIG MISTAKE HE HAS MADE AND WILL ONLY L;EAD TO MORE YOUNG PEOPLE HAVING ACCESS TO MARIJUANA . WHILE I THINK MARIJUANA ISN'T SO BAD . I DO THINK IN A MAJORITY OF CASES IT DOES LEAD ONTO HEAVIER DRUGS AND THAT IS A BAD THING . THIS LAW SHOULD BE THROWN OUT OR PETER BEATTIE HIMSELF FOR BEING SO STUPID TO ALLOW THE LAW . HERE IS WHAT STAN HAD TO SAY ON IT . ANYWAY TODAY HAS BEEN A DAY WHEN I CAN'T BELIEVE THE QUEENSLAND PREMIER PETER BEATTIE SAID THAT PEOPLE ARRESTED FOR POSSESSING CANNABIS WOUL;D NOT BE CONVICTED IF THEY ADMIT GUILT AND AGREE TO UNDERGO COUNSELLING . IT'S TRUE ALL THESE LITTLE DRUGGIES WOULD HAVE TO DO IS TO SAY THAT I'M GUILTY IN A RECORDED INTERVIEW AND SIGN A PIECE OF PAPER SAYING THAT THEY WILL GO TO REHABILATION AND IF THESE 2 CRITERIA ARE MET . THEN THE ARRESTING OFFICER CAN RELEASE THE PERSON WITHOUT BAIL . BUT PETER BEATTIE HAS DEFENDED HIS NEW LAWS SAYING THAT A PERSON CAN ONLY ESCAPE JAIL IF THEY ARE CARRYING LESS THAN HALF A KILO OF CANNABIS . BUT HALF A KILO OF CANNABIS I AM RELIABLY INFORMED IS ENOUGH TO MAKE A DOZEN JOINTS OR DOZENS OF JOINTS , SEVERAL BONGS AND ENOUGH HASH COOKIES TO FEED A HIPPY COMMUNE . SO HOW ON EARTH CAN PETER BEATTIE JUSTIFY THIS SORT OF TREATMENT ON DRUGGIES .. WHEN ARE POLITICIANS ALONG WITH A GREAT CHUNK OF THE COMMUNITY GOING TO GET IT THROUGH THIER THICK SKULLS THAT MARIJUANA IS A HARMFUL DRUG AND IF YOU'RE CAUGHT CARRYING HALF A KILO OF IT AND EVEN A THINBLEFUL THEN YOU SHOULD BE PUNISHED NOT GIVEN A PAT ON THE BACK FOR ADMITTING YOUR GUILTY .